Sony’s new Master Series OLED TV is packed with cutting-edge features that puts it at the forefront of high-end TVs. Sporting high quality visuals and audio performance, The Bravia OLED A9F has earned bragging rights as this year’s TV of choice. While the top-notch features necessitate a hefty price tag, the TV transforms a regular living space into a home theatre for you and your family. If you’re a movie buff who needs the absolute best, then read on for the 5 reasons why the Sony Bravia OLED A9F belongs in your home. 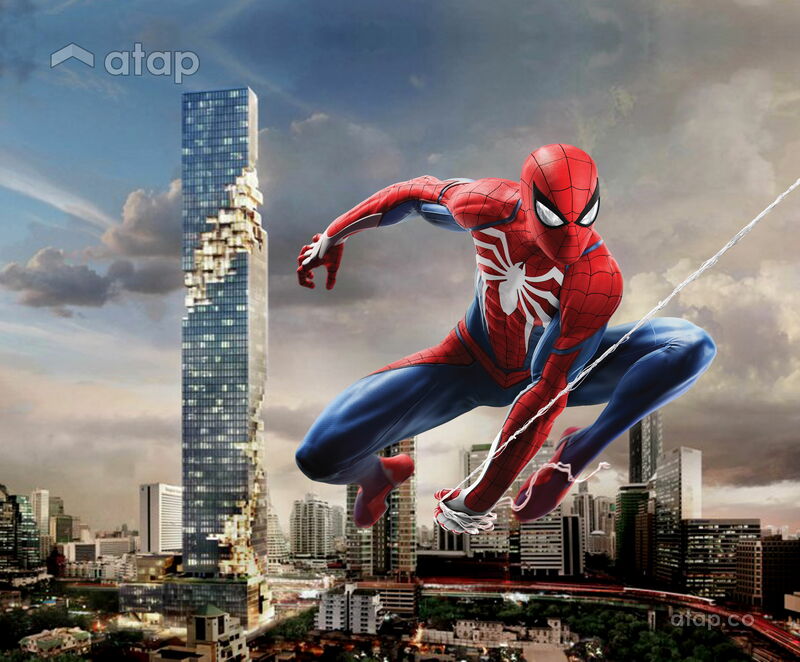 If you’ve ever wanted to know what it’s like to watch Spiderman and actually feel like you’re swinging between buildings and taking down villains, then this TV is for you. Sony has redefined the home viewing experience with tech updates that let you see visuals and colours like never before. The new X1 Ultimate processor delivers studio quality visuals, allowing viewers to feel like they are in the director’s chair, getting first-hand experience. Furthermore, the OLED technology offers deep blacks and vibrant colours that will make you do triple takes! For us simpletons, OLED technology basically allows your television to reach deep black levels without the need for backlights, making displays more efficient while saving energy. 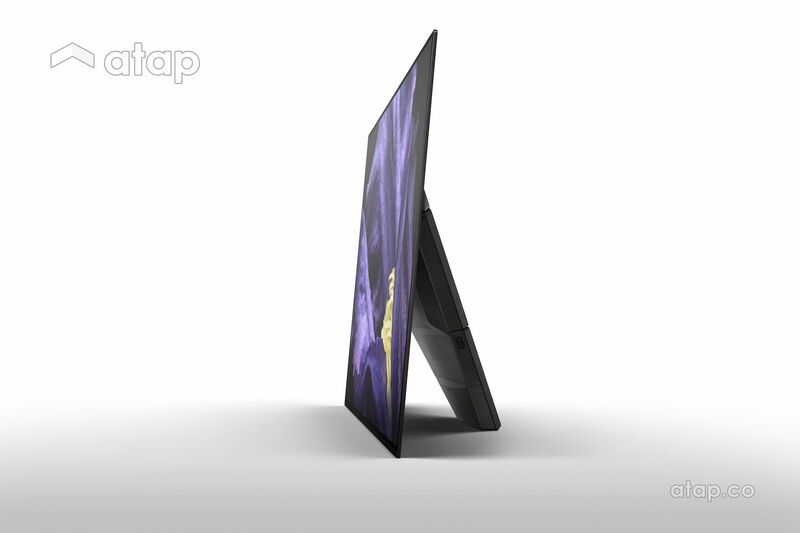 With sharp, vibrant, and clear visuals, this TV leaves nothing to the imagination. Jump scares have just been taken up a notch with the introduction of Acoustic Surface technology, which allows the OLED panel to produce full-bodied, directional audio. In other words, you’ll almost feel like you have Spidey sense, getting that tingling feeling and knowing just when things are about to take a turn for the worse and Gwen Stacey needs your help. The actuators that help produce the audio are embedded into the edges and centre of the screen, along with two built in subwoofers that bring the cinema into your home! On that note, this is a warning that watching horror movies alone at home will spook you now more than ever. Dedicated to TV bingers and movie buffs, the Netflix-calibrated Mode is a special feature created in partnership with the streaming service. This feature was developed to give users the precise image intended by the shows’ creators, bring stories to life. So, the next time you watch a Steven Spielberg masterpiece, you’ll know that you’re watching visuals the exact way he intended to present them. 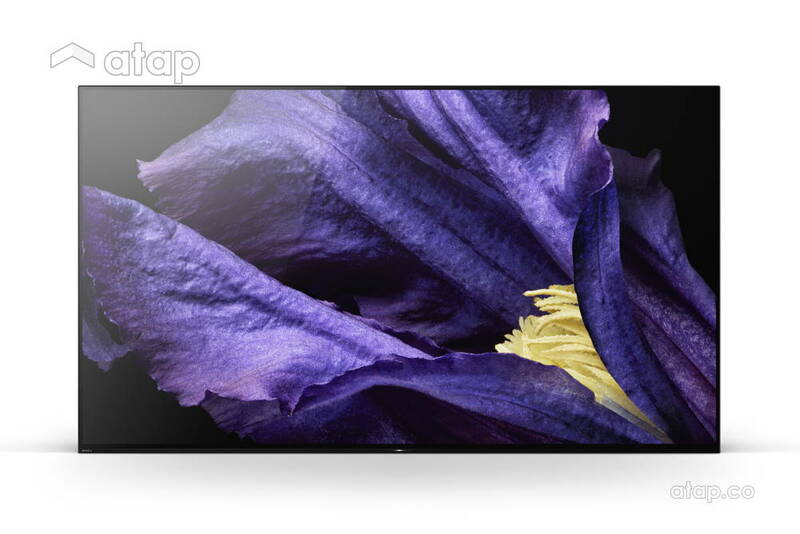 The A9F takes on a slim and stylish picture frame design with a lean back stand. 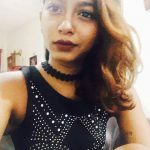 The minimalist design makes visuals jump out at you from seemingly absent borders, especially when viewed in a dark room. The sleek finish on this unit is achieved by using actuators and built in subwoofers that allow the TV to function as a centre speaker. Thus, there are no extra components on the edge of the screen to ruin the unit’s aesthetics. It also means that you won’t have to purchase external speakers! 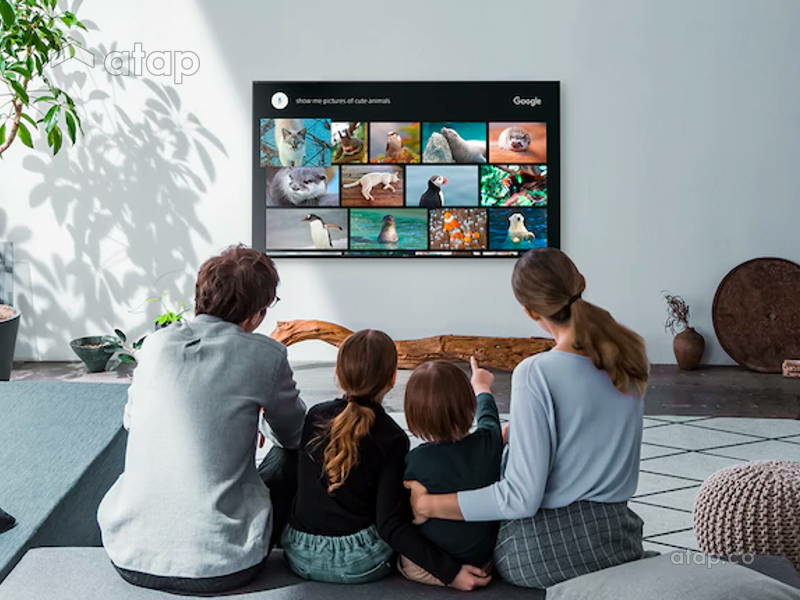 Move aside Siri and Alexa, the new Android TV with Android 8.0 (Oreo) operating system now includes a hands-free voice search option so you to talk to your television! You can change the channel, switch off the TV, and adjust settings by simply talking to the unit via built in microphones. We know this will further encourage your couch potato tendencies but, just think how much easier it will be to pause cooking shows while in the kitchen or switch off the TV as you’re falling sleep! Another plus point is that you won’t have to track down disappearing remotes because you won’t even need one! 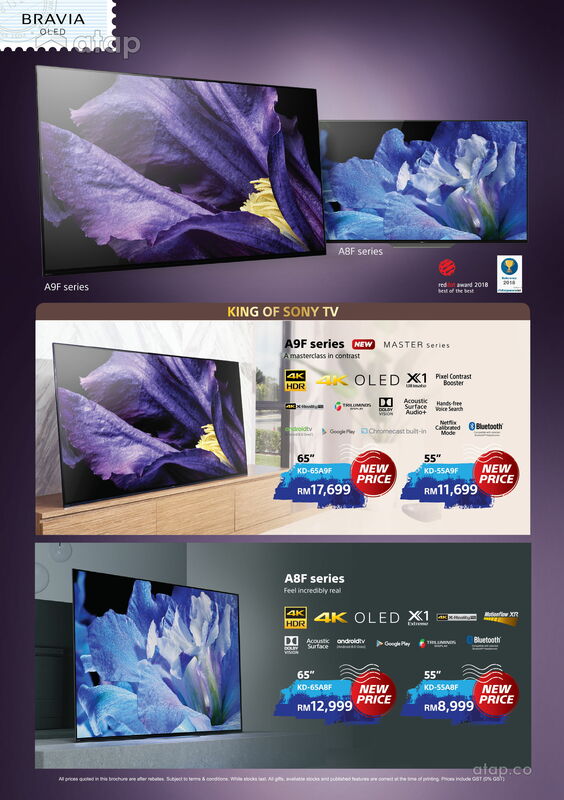 The Sony Bravia OLED A9F is now available with their year-end promotion. For more details, visit Sony Malaysia.